EAA EARB3574 Windicator Steel Frame Single|Double 357 Magnum 4 6 FS Black Rubber Grip Blued in. A powerful reminder of revered German engineering the Windicator continues to hold a proud position in the EAA lineup year after year. Its straightforward design leaves little room for complication sturdy reliable and ready when you need it. The Windicator features a DASA trigger with a hammer block safety spurred hammer and shrouded ejection rod. 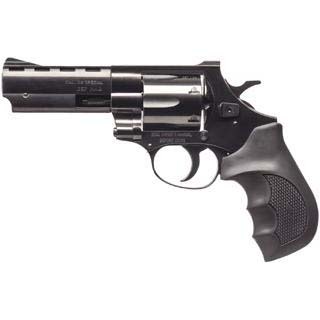 It has a 6round capacity fixed sights and molded rubber grip.This 357 Magnum has a steel frame with a 4 barrel and a blued metal finish."